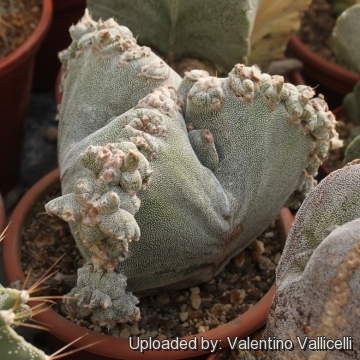 Description: Astrophytum myriostigma var. 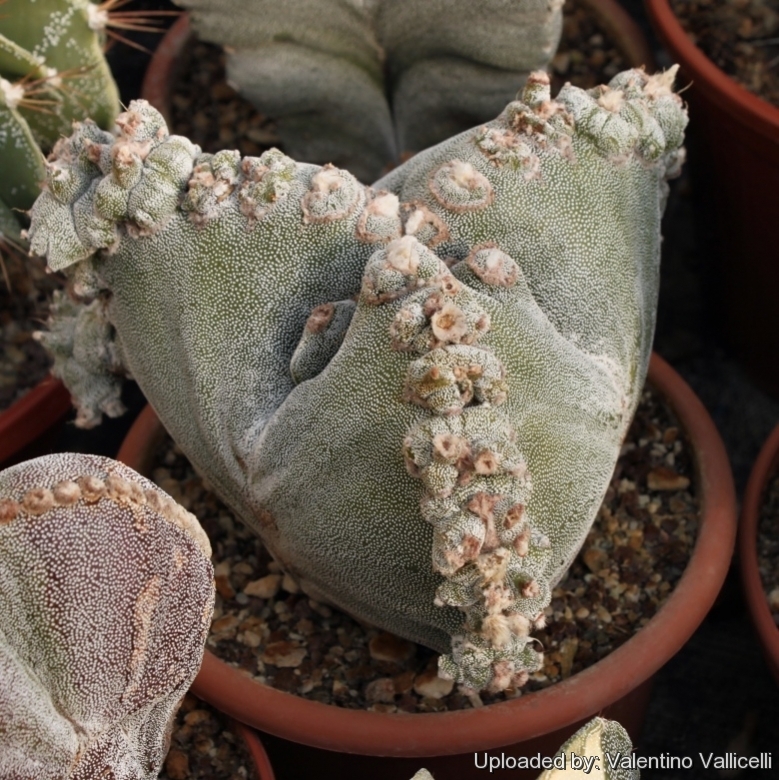 tricostatum is a rare cultivar with only three ribs with an abnormal tendency to branch forming small side pups from the areole. In cultivation there are several clones showing varies degreed of monstrosity some of them branching like mad, while other almost normal. Flowers: Arise from the areole at the tip of the stem on mature plant (at least 4-5 years old) they are large, funnel-shaped, yellow, 5-7 cm wide. Blooming season: It flowers intermittently throughout the warm months from spring to autumn.